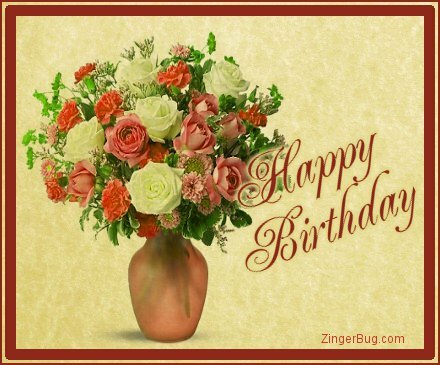 Happy Birthday Greetings, Glitter Graphics & Comments! 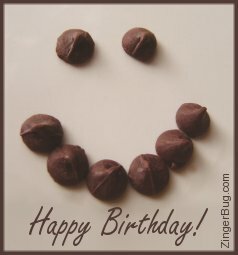 This section includes tons of comments, greetings, mems, GIFs and glitter graphics to wish your friends a Happy Birthday. We have animated candles, balloons, cakes, flowers, reflections, jokes and more! Our collection of Happy Birthday graphics includes pretty stuff, cute stuff, funny stuff, artsy stuff, greetings in spanish, Birthday wishes for animal lovers, virtual birthday presents, hugs, kisses, hearts, and all sorts of ways to wish your friends and family a very happy birthday!